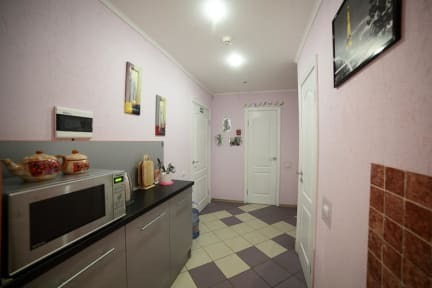 Our hostel is in the center of Minsk and is primarily aimed at young people who come from different cities and countries. We offer everything you need for a comfortable stay. There's bed linen and towels and the four-person rooms have their own wash basins as well. Bathrooms feature showers. Guests are welcome to use our iron and hair dryer or to cook up a meal using our fridge, microwave, kettle and crockery. Reception is on-hand 24 hours a day, with a luggage storage room and lockers. We can organise sightseeing tours around Minsk and the surrounding areas. For entertainment we have Wi-Fi, a flat-screen TV in every room, an Xbox and board games. You can even rent bicycles and notebooks! Kind, helpful staff. Near central station, so, easy to find if you take the bus no 300 from the airport.